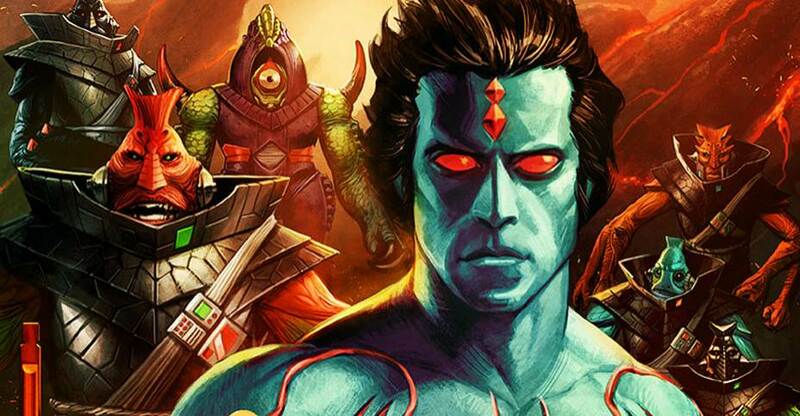 In case you missed it, pre-orders for the new Power Lords 4″ Scale Figures by Four Horsemen are now live. The re-launch of the series begins with an assortment of new figures, including a Power Armor Adam Power! Each figure is priced at $22, with an all-in option available priced at $355 (save $19). If you were a Power Lords Fan Club member during the initial run of figures, you can save an additional 10% off of your pre-order, including the all-in option. See some details and the list of characters included below. After the jump, you can see photos of the figures. The pre-order for the re-launched Power Lords action figure line is now live on Store Horsemen! We exhaustively worked with the factory to get the production costs for the new 4 inch scaled Power Lords action figures down as far as possible, and you can now pre-order them for $22.00 each (plus shipping & handling), or you can dive into the Power Lords All-In set of all 17 characters at a discounted price of $355.00! Plus, if you were a member of thePower Lords Fan Club during our previous Power Lords releases a couple of years ago, be sure to include your Power Lords Fan Club membership number as a coupon code when you place your order to receive an additional 10% off your pre-order! Just go to http://www.StoreHorsemen.com to place your Power Lords pre-order NOW! 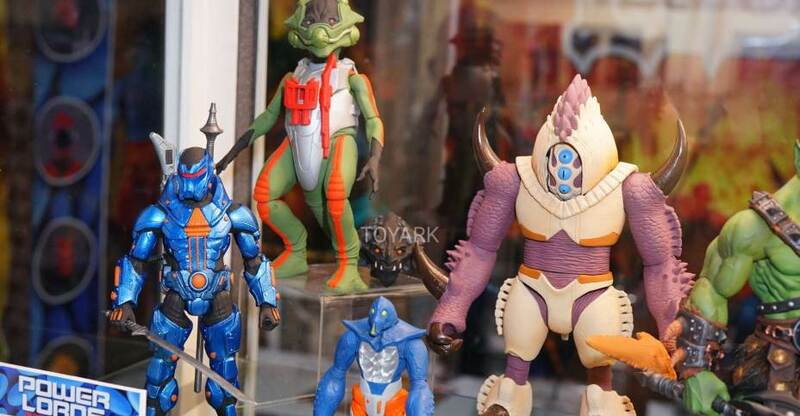 Fans of the original Power Lords toy line from the 80’s, and the first run of updated figures from 2013 will be happy to know that the action figure line is making its return! The re-return of the Power Lords 4″ Scale Figures was announced back in July. This Friday, September 8th at 3:00 PM EST, the new Power Lords figures will be available for pre-order from Four Horsemen! Pricing and release dates haven’t yet been revealed, but they have a full list of figures that will be available, along with their included accessories. A new Adam Power figure is included in the list! This Friday, September 8th at 3pm eastern standard time, a new pre-order comes to Store Horsemen, but this time we’re doing things a little differently. We’ve been trying to find the right timing and method to re-launch the Power Lords four inch scaled action figure line with new levels of articulation and detail, and if you’re willing to go on this little journey with us, we think the time is NOW! This pre-order will be very similar to all of our previous pre-orders, with one significant difference. We’re going to use something similar to the “crowd funding” method of pre-ordering that’s been successful for us in the past through Kickstarter, and we’ll have a certain number of orders per character that we’ll need to hit in order to make this work. If we don’t meet our goal in the time that we have the pre-order running, all of the pre-orders will be cancelled, and none of your payments will be processed. We’d then just have to step back and try to figure out another alternative strategy in order to get Power Lords action figures into your hands. One of the things that’s happened in recent weeks is that the factory has come back to us with revised prices for tooling and production, and we were shocked to find that they’re roughly double what we were quoted to begin with. We’re still working things out with the factory to see what can be done to bring those prices down to a more reasonable level, so we probably won’t be posting the prices of the figures until the sale actually launches on Friday afternoon. Multiple factors figure in to decide what we need to charge per figure, and the production and tooling charges are the largest portion of that. That factor more than anything else will decide what the final prices for the Power Lords action figures will need to be, but you can be sure that we’ll do everything within our power to keep those prices as low as possible, no matter what the final outcome from our current factory negotiations. And yes, there will be a specially priced All-In set. As a bit of a preview, below are the various characters that we’re going to be offering for pre-order, along with descriptions of their articulation and accessories. After the jump, you can find the list of all he new figures being offered. The list includes a description of the included accessories, as well as details on the articulation for those figures. We’ll update with images and info as they become available.